If you ever get breakouts from using mud/clay mask, maybe you are using it the wrong way. If use in a proper manner, mud mask works like wonder. But it is also a product which requires a little bit more attention when using it. 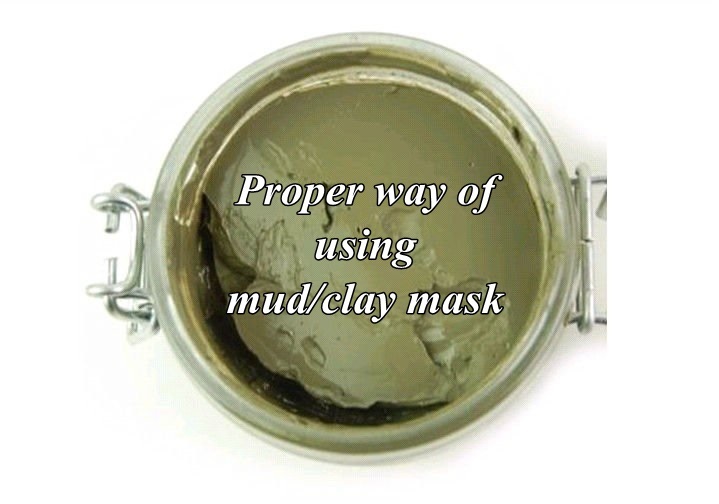 When applied on the skin, the mud mask covers the skin area completely, leaving your skin trapped underneath. It also covers all the pores and there is not oxygen that gets into the skin. It creates a barrier on top of the skin, if you don't use it properly, it might cause infections underneath your skin. 1. Go through your cleansing as usual. Make sure you apply your toner before putting on the mud mask. Reason being, your skin pH level get to the alkaline side after you cleanse your face. The toner will balance up your skin pH level. If you don't do this and straight away apply the mud mask, it will cause condition such as eczema. 2. If your skin is extremely dry or if you are using the mud mask during winter, add a little bit of oil to prevent the mud from cracking. Add your ordinary face oil, essential oil, olive oil or grapeseed oil. It will keep the mud soft. 3. Don't use mud mask if you have open wound on your skin. When it dries up, the layer of mask shield up the wound and might cause infection if there's bacteria trapped underneath. For less severe cases, it might cause sudden breakouts. 4. Don't leave the mud mask dry up on your face for more than 15 minutes. When it dries up, the mask tend to pull your skin. In a long run, it might cause premature wrinkles or fine lines. The main purpose for applying mud mask is to exfoliate your skin, for deep cleansing or to withdraw toxins and impurities out of your pores. 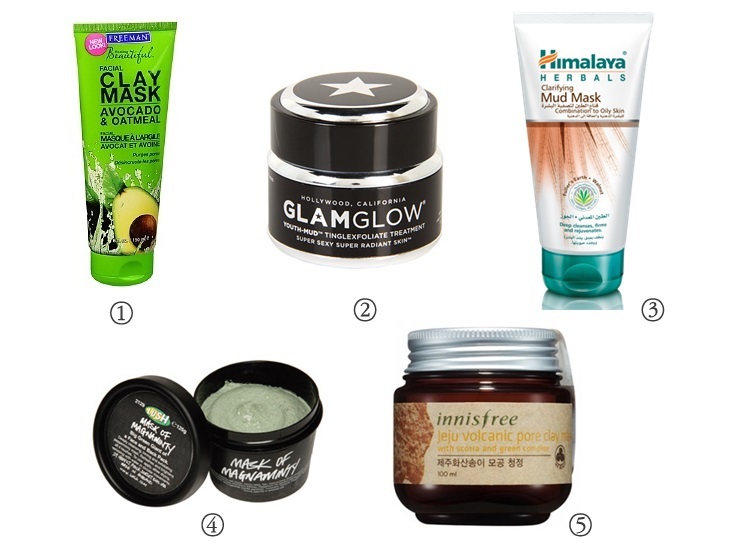 If your skin lack of hydration, it is best to stay away from mud mask. Put on hydration/moisturizing mask instead until the moisture level goes back to normal before you start using mud mask. However, there are so many mud mask available in the market these days. There are some mud mask that has hydration purpose in it. Make sure you read the product description first. This is a hybrid clay mask where they mix hydration properties (avocado) into it. It gives a lot of benefits in one tube - hydration, exfoliation, deep cleansing and removing impurities. I only tried the sample pack before and I think it is worth a try. The main purpose of this mask is to exfoliate, hence it is able to give you the glow on the skin. The price is a little steep though. I love this mask as staple. I like to put it on until it's dry, then add a few drops of water in my hand and slowly rub it off in circular motion. It draws out most of the sebum in my pores and it makes extraction a little easier. Although claimed as the multipurpose mask, I feel this mask works more on deep cleansing. It does dry and crack up like most mud mask though. Because it is made of 100% natural ingredients, this product is pretty safe to leave on for a longer time. Disclaimer, I've never tried this. But I keep hearing all the good things about this clay mask. And I even saw a lot of before-after photos with huge improvement after one use. This is one of the top product that I want to try. I've also been eyeing this on Hermo.my for a long time but they don't seem to restock it yet. I think if got dry skin, then shouldn't use clay mask right? @Charmaine: Can... you just add a bit of oil in it. And don't let the mask dry completely. @Pinku no Sakura: The best oil to add is tea tree oil (contains anti-bacteria)or calandula oil. If you don't have, then use facial oil from major brands is also ok.